It all begins with tee ball and it all ends with high school baseball or sooner. Somewhere in that range your coaching career probably began and somewhere in that range it will probably end. Few of us go on to coach our boys after they leave high school. So our range of youth baseball practice drills on this website will be from four to eighteen. If you are just beginning and it is tee ball that you are coaching then consider yourself lucky. Tee ball is truly the fun years. The players are learning, you are learning and everything is simple and fun. Just make sure the kids have snacks after the game and everybody is happy. It would be great if it stayed like that. But I’m not going to pretend that it does and I think you know better. Just enjoy this age. After T Ball is coaches pitch and machine pitch. 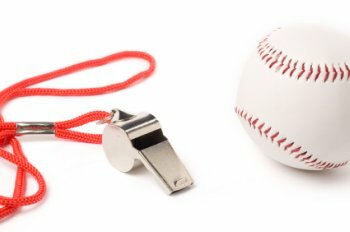 These are great baseball learning tools for six and seven year olds. Back in my time we started with kid pitch, and the first couple of years was nothing but walks. In my opinion, machine pitch and coach’s pitch are the greatest improvements of youth baseball practice drills since it began. If a child starts out at this level, he is almost guaranteed to get some hits, and feel good about himself. Not true in my day. Eight year old are still a little young to start kid pitch in my mind, but many leagues begin at that age. It is a little early for most kids to have control of their pitches, but coaches at this age can usually find a couple of pitchers. Most kids have not started feeling the pressure to perform yet, but it does start for some. Youth baseball practice drills may seem a little frustrating at this age. But hang in there because it does get better. Probably the biggest jump in improved individual skills happens during the nine and ten year old years. Kids at these ages will start to love or dislike baseball, depending on their ability, parents’ attitudes, and coaches teaching skills. A few kids would prefer to quit playing baseball, but don’t know how to approach their parents. Be on the lookout for unhappy players. Team skills show the most improvement during the eleven and twelve year old ages. Pitchers are starting to hit locations and throw some off speed pitches. By now you have probably decided if competitive baseball is for you and your players. Tournament teams start playing most weekends and the coach’s life becomes totally consumed with baseball. 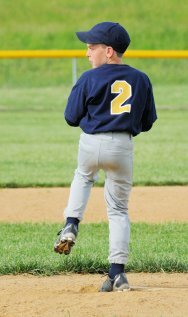 There is lots of youth baseball practice drills that you can use at the eleven and twelve year old ages that you couldn’t use before. You need to start planning practices to get the most out of the practice time you have. Pitching distance is the big key for thirteen and fourteen year olds. All across the country you will find the pitching distance to be somewhere between fifty-four feet and the major league distance of sixty feet, six inches for pitchers either thirteen or fourteen. And the base distances are usually either eighty feet or ninety feet. If you are playing at ninety feet bases, then use more youth baseball practice drills for your infielders. They will need extra practice at playing on a bigger infield. If thirteen and/or fourteen year olds are allowed to pitch at fifty four feet, there will be little scoring. If they are moved back to sixty feet, there will be plenty of offense. Six feet longer or shorter makes a world of difference. I believe in letting boys at these ages play on the big fields: sixty feet six inch mounds and ninety feet bases. Around the age of fourteen lots of boys make the decision to play only one sport. It may not be what they really want to do, but with high school football and basketball coaches demanding year round participation in their sport, time becomes the deciding factor. It is a sad truth and I do not see an end of this specialization any time soon. By fifteen years old and up it is full blown baseball. Really, no more baseball drills by age because at fifteen and up they should be able to do any drill you have. You start to see players not only picking one sport at this age, but picking one position. 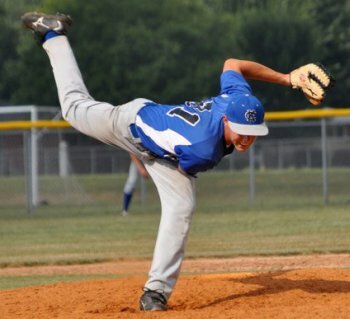 Many pitchers opt out of hitting and fielding and become pitchers only. It is kind of funny, you start seeing these pitcher only (POs) coming to games carrying only a small bag with their shoes and glove. If you are not hitting, no need to carry a bat. So that is our outline of youth baseball practice drills by age from the years four thru eighteen. 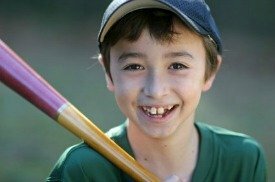 Because kids mature at different ages there may be baseball drills that I have listed as ten year old drills and some ten year olds cannot perform, and so on. Don’t panic, I just tried to use an average age for most drills. I could be way off base. Recapping my coaching years and knowing what I know now I would certainly do it all over again and again. Make no mistake there are heartaches and problems, but it made a better man of me and better adults of my boys. I feel that I have a tighter bond with my boys because of our baseball experiences and I have life long friendships with many of my former players. I hope you enjoy your coaching years half as much as I did.